Sources told Page Six that Bezos, 54 — the world’s richest man, and Sanchez, 49 – who is also a helicopter pilot – knew each other through her WME/IMG husband Whitesell, one of Hollywood’s most powerful men and agent to such stars as Matt Damon, Christian Bale, Kevin Costner, and Hugh Jackman. Patrick, Lauren and Jeff seem to have known each other for some time and were even pictured together at a 2016 event for the movie “Manchester By The Sea,” which starred one of Patrick’s clients, Michelle Williams. Sources said that Sanchez, a former anchor of Fox’s “Good Day LA”, became close to Bezos after she separated with Whitesell in the fall. 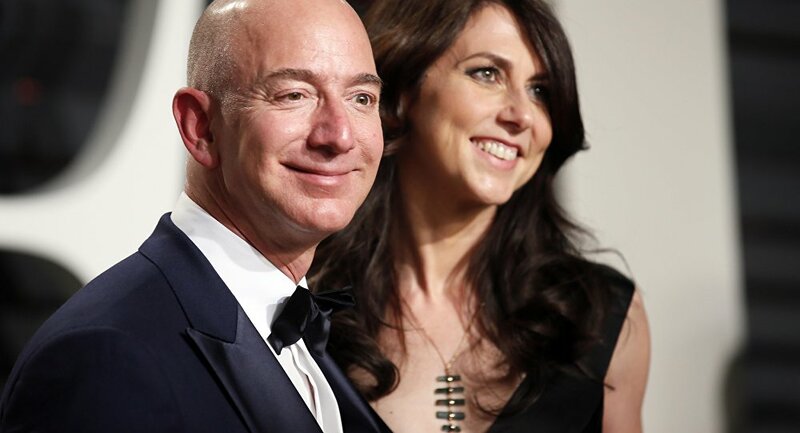 Patrick and Lauren have been socializing with Bezos and his wife for a few years, because both (now former) couples have houses in Seattle. “Then Lauren was hired to work on one of Bezos’ projects, ‘Blue Origin’, a space launch company, as a helicopter pilot. She has been shooting aerial shots for Bezos. Patrick and Lauren Sanchez have been separated for a while. Their marriage has been off and on for a while, and they tried hard to fix things, but in the fall they officially separated. She had told Patrick that she has been recently seeing Jeff Bezos,” a source told Page Six. Sanchez and Whitesell got married in 2005 and have two young children. She also has a teenage son Nikko, from her first marriage to former NFL player Tony Gonzalez. They have not formally filed the divorce. Sources have suggested that Bezos made the divorce announcement on Wednesday believing that photos of Sanchez and himself could soon be made public. However, neither Bezos, Sanchez nor Amazon have responded to requests for comment.